I love cards. Like, really love cards. I love funny cards, sentimental cards, nice and naughty cards, and most of all - holiday cards! I think that paper is just so beautiful and should be on display all of the time. The only problem with that? Space. Which, is my biggest problem about NYC. I've had this blank space on my brick wall that's been a struggle to decorate. I know you can drill into brick walls, but to be honest, I just don't want to risk it. 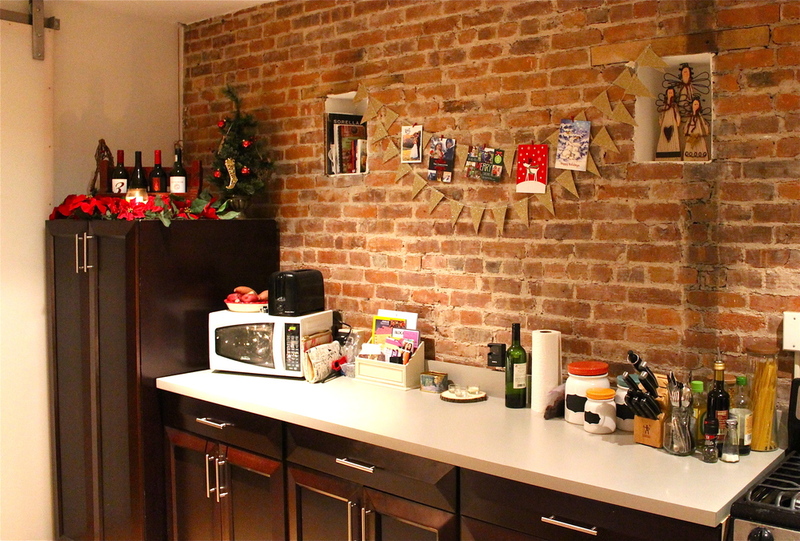 I've wanted a brick wall in my apartment for so long, that I'm hesitant to do anything that would 1) distract my eye or 2) damage the brick wall. 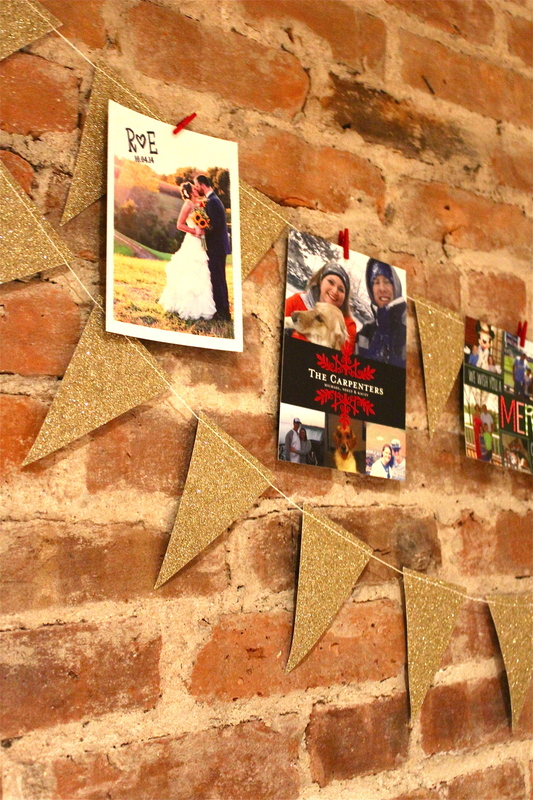 I found this cute gold, sparkly pennant garland from Paper Source, and knew it would look perfect against the brick wall. I also found the mini red clothespins at Paper Source, and figured they would add a nice holiday touch. I love this so much that I think I'm going to keep it up past Christmas, and just rotate out cards I receive, or ones I just really want to display.